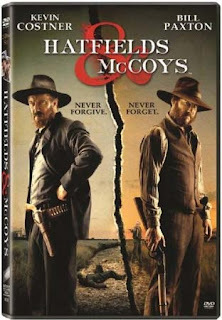 Hatfields & McCoys breaks more cable ratings and is coming to DVD and Blu-ray July 31st! More great news for Jena Malone's awesome and epic HATFIELDS & MCCOYS miniseries (which she co-stars with Kevin Costner and Bill Paxton), ratings-wise, as it continues to break even more impressive cable ratings records with last night's airing of its conclusion, part III (episode 3) for History channel. The conclusion, Episode 3 (Part 3) of HATFIELDS & MCCOYS starring Kevin Costner, Bill Paxton, Jena Malone, Tom Berenger, Powers Boothe and Mare Winningham airs tonight on History channel. The first two episodes were awesome and the ratings show as viewers were loving it! 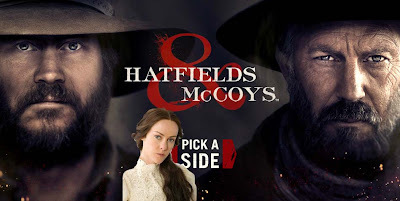 According to Huffpost TV, 'Hatfields & McCoys' Continues To Score Huge Ratings NEW YORK — There's nothing like a backwoods blood feud to excite television viewers on Memorial Day. The first part of the History network's miniseries "Hatfields & McCoys" was seen by 13.9 million viewers on Monday night, more than 17 million when the immediate repeat was added in, the Nielsen company said. The numbers held up for part two on Tuesday, which was watched by 13.1 million, Nielsen said. 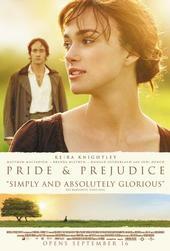 Blogoversary: Pride & Prejudice Blog turns 5! Wow, 5 years! I can't believe it's been 5 years already! It seems just like yesterday, I was still new to blogger and learning how to add codes and contents. 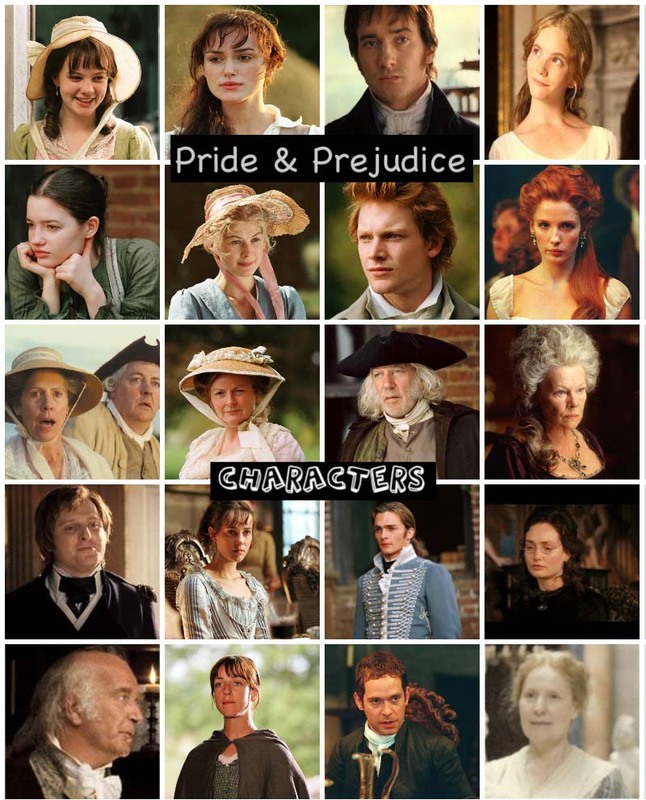 I never thought I'd be blogging this long, but it's all because of my love for this movie version of Pride & Prejudice and the amazing actors who portrayed my favorite P&P characters brilliantly on this 4th-time Oscar nominated film. I've really enjoyed blogging here and posting all things P&P/Austen related topics as frequently as I've been able to for these wonderful 5 years. And you know what they say, time flies when you're having so much fun. Indeed, it had flown by so quickly. I must say, I have loved and enjoyed blogging here and keeping this blog updated as often as I could (or have the time to). Episode 2 (Part 2)of HATFIELDS & MCCOYS starring Kevin Costner, Bill Paxton, Jena Malone, Tom Berenger, Powers Boothe and Mare Winningham airs tonight onHistory channel. Afterbreaking basic cable ratings records with its premiere, Night 2 of History‘s six-hour miniseriesHatfields & McCoys scored more big ratings. It garnered 13.1 million total viewers, 4.7 million adults 18-49 and 5.8 million adults 25-54 from 9-11:05 PM last night. Hatfields & McCoys chronicle of one of the most infamous family rivalries in American history. Kevin Costner plays “Devil” Anse Hatfield and Bill Paxton plays Randall McCoy in the three-part miniseries. Part 2: airing Tuesday, May 29 at 9/8 Central. Tonight is the premiere of History channel's highly anticipated scripted mini-series HATFIELDS & MCCOYS starring Kevin Costner, Bill Paxton, Jena Malone, Tom Berenger, Powers Boothe and Mare Winningham. The 3-part miniseries begins with Episode 1 (Part 1). Episodes 2 and 3 will air tomorrow night and Wednesday night. History entered the original scripted arena in a big way last night. 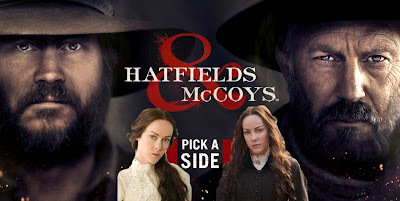 The premiere of the cable network’s miniseries Hatfields & McCoys drew a staggering 13.9 million total viewers, 4.8 million adults 18-48 and 5.8 million adults 25-54 from 9-11 PM to become the the No. 1 non-sports telecast in ad-supported cable television history. The combined viewership for Part 1′s two airings was 17 million. 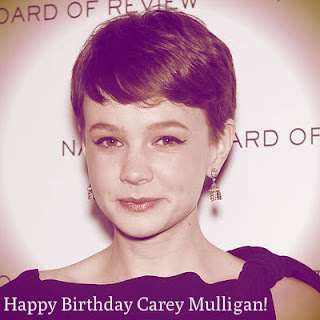 Today (May 28th), is the 27th birthday of Academy Award Nominee (for Best Actress in An Education) and newlywed (Just Married: Carey Mulligan weds singer Marcus Mumford), Carey Mulligan, best known to us, P&P movie fans, as Kitty Bennet (and also as Isabella Thorpe inNorthanger Abbey)! The first trailer for The Great Gatsby starring Leonardo DiCaprio, Carey Mulligan, and Tobey Maguire was just released earlier this week (Tuesday) and now a new still (above ^) of Carey as Daisy Buchanan with Leo DiCaprio as Gatsby has surfaced online via the film’s UK Facebook page. The film also stars Joel Edgerton, Jason Clarke, and Isla Fischer. The Great Gatsby opens in 3D on December 25th. 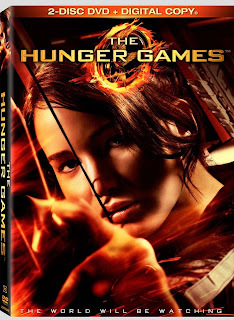 DVD News: The Hunger Games coming to DVD and Blu-ray August 18th! Coming soon to DVD and Blu-ray (as well as OnDemand and digital downloads) is the recent 4th-time #1, Box-office-smash-hit-wonder, and one of the most talked about films of 2012,The Hunger Games starring Jennifer Lawrence, Josh Hutcherson, Liam Hemsworth, Donald Sutherland, Elizabeth Banks, Stanley Tucci, Woody Harrelson, and Lenny Kravitz. Jena Malone attended the premiere of History Channel's "Hatfields & McCoys" held at the Milk Studios on Monday (May 21, 2012) in Los Angeles, California. On Memorial Day (May 28th), History channel's highly anticipated scripted mini-series HATFIELDS & MCCOYS starring Kevin Costner, Bill Paxton, Jena Malone, Tom Berenger, Powers Boothe and Mare Winningham will premiere its 3-part miniseries beginning with episode one (on the 28th at 9/8c). Hatfields & McCoys chronicle of one of the most infamous family rivalries in American history. Kevin Costner plays “Devil” Anse Hatfield, Bill Paxton plays Randall McCoy, and Jena plays Nancy McCoy in the three-part miniseries. Watch: First trailer for 'The Great Gatsby' starring Leonardo DiCaprio, Tobey Maguire, and Carey Mulligan! Warner Bros. has just released the first trailer online for The Great Gatsby starring Leonardo DiCaprio, Carey Mulligan, and Tobey Maguire. The film also stars Joel Edgerton, Jason Clarke and Isla Fisher. The Great Gatsby (in 2D and 3D) opens in theaters Christmas Day 2012! 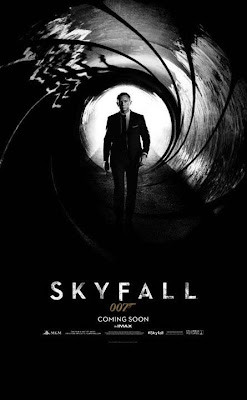 The first officialteaser poster (image to your left)for the upcoming Sam Mendes' James Bond filmSkyfall starring Daniel Craig (James Bond) and Judi Dench(as M) has been released last Thursday (May 17th) and now the first official teaser trailer has just been released by Sony Pictures this morning. Skyfall starring Daniel Craig, Javier Bardem, Dame Judi Dench, Ralph Fiennes, Albert Finney, Naomie Harris, Bérénice Marlohe, Ben Whishaw. Directed by Sam Mendes. In UK Cinemas October 26th and US theaters November 9th. 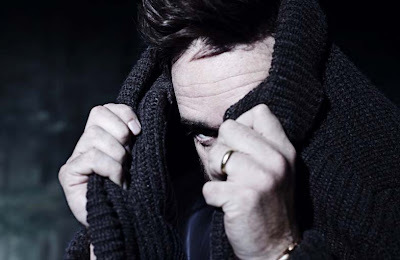 Hunger TV did an article/interview, and photoshoot with Matthew Macfadyen last November (2011). I posted about the interview and video link on FB, but I don't remember posting about it here on the blog, so I thought I'd post it here today for those of you who haven't read it nor seen the video interview. 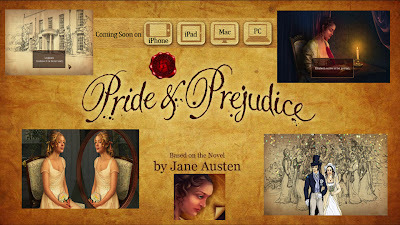 There's a brand new Pride & Prejudice app game titled Hidden Anthologies: Pride & Prejudice foriPhone, iPad and Mac. Apparently, a PC version is coming soon! Just released (this month), It is a hidden object adventure game based on our beloved Jane Austen'sPride and Prejudicenovel. 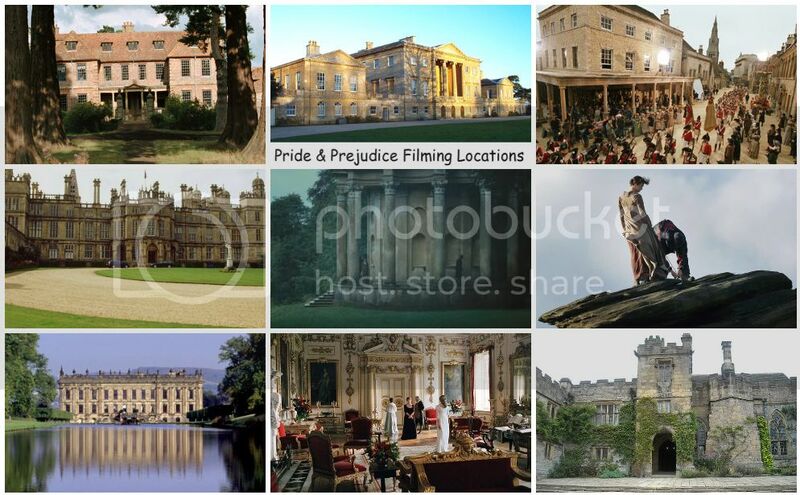 Available to download from iTunes....Featuring beautifully rendered scenes, emotive music and compelling gameplay: Pride and Prejudice will appeal to fans of the genre of all ages, but particularly to the millions of Jane Austendevotees around the world. 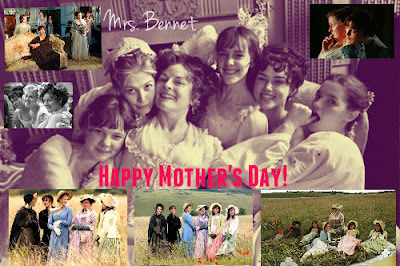 It is a truth universally acknowledged, that a single man in possession of a good fortune must be in want of a wife. The classic opening line of Jane Austen's most beloved novel. Published almost two hundred years ago, it has seen many adaptations over the years. Hatfields & McCoys chronicle of one of the most infamous family rivalries in American history. Kevin Costner plays “Devil” Anse Hatfield and Bill Paxton plays Randall McCoy in the three-part miniseries. History channel has been showing its TV spots a lot lately as well as its sneak peek trailer in AMC theaters to promote the upcoming mini-series. Screen Daily reports that Keira Knightley is replacing Scarlett Johansson (The Avengers) to star in the female lead opposite Mark Ruffalo (The Avengers) and Hailee Steinfeld (True Grit) in John Carney's musical Can a Song Save Your Life? EXCLUSIVE: Keira Knightley has replaced Scarlett Johansson on Can A Song Save Your Life? which Exclusive Media is financing, producing and selling in Cannes. John Carney, the filmmaker behind the hit Irish musical romance Once, will direct the story about a singer who moves to New York with her boyfriend only to be dumped by him and subsequently discovered by a producer. Hailee Steinfeld also stars. Johansson is understood to have left due to personal reasons. A summer shoot in NYC is planned for this film, according to The Playlist. 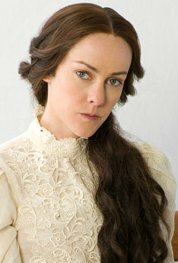 Jena Malone's 'Hatfields and McCoys' mini-series premieres on History Channel Memorial Day and her new 'Dakota' series on WIGS this Summer! Two new Jena MaloneTV mini-series and a YouTube/WIGSscripted series are coming soon to a small screen (on your TV and online) near you! 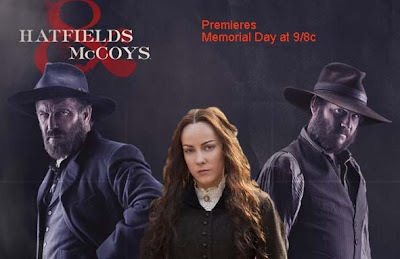 First, on Memorial Day (May 28th), History channel's highly anticipated scripted mini-series HATFIELDS & MCCOYS starring Kevin Costner, Bill Paxton, Jena Malone, Tom Berenger, Powers Boothe and Mare Winningham will premiere. History channel has been showing its TV spots a lot lately as well as its sneak peek trailer in AMC theaters to promote the upcoming mini-series. Hatfields & McCoys chronicle of one of the most infamous family rivalries in American history. Kevin Costner plays “Devil” Anse Hatfield and Bill Paxton plays Randall McCoy in the three-part miniseries. Jena plays Nancy McCoy. Read more About Hatfields & McCoys! 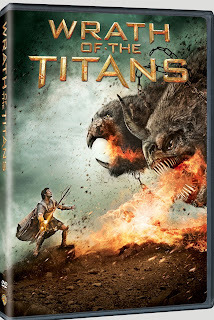 DVD News: 'Wrath of the Titans' coming to DVD and Blu-ray June 26th! Rosamund Pike's recently released film,Wrath of the Titans, which she co-starred with Sam Worthington, Liam Neeson, Ralph Fiennes, Edgar Ramirez, Toby Kebbell, and Bill Nighy is coming to DVD and Blu-ray June 26th! The film is still currently showing in theaters (about 46 days and 6.6 weeks) and was a bit disappointing on its opening weekend as far as domestic box-office gross is concern, as it opened at $33.6 million (at #2 behind The Hunger Games), and still did not reached nor surpassed its $150 million budget, which isn't good box-office-wise, but not worse compared to Disney's John Carter. According to Box Office Mojo, as of May 14th, whileit now only grossed at $82 million in domestic, it did much better overseas with $218.3million and a current worldwide total of $300.3 million. 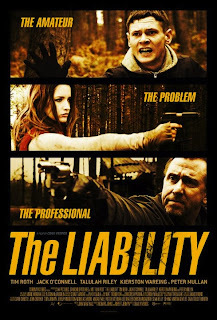 The movie poster for The Liability film, a new comedy thriller produced by Corona Pictures and starring Tim Roth, Jack O'Connell, Talulah Riley, and Peter Mullan has just been released via the film's Facebook page. The poster featured Miss Riley in the middle with the tagline: "The Problem" and her character holding a gun aiming at someone. Very interesting! Actresses Keira Knightley and Keeley Hawes (Matthew Macfadyen's wife), two of the manyUNICEF UK supporters who recently visited poor countries in Africa both made a short appeal film each, which will be shown on Soccer Aid 2012to be broadcast live later this month on ITV1 on Sunday May 27th. Meridian - ITV Newshas video interviews with Lewis Hamilton, Keira Knightley and Keeley Hawes as they work for Soccer Aid 2012. They are visiting the world's poorest countries. Watch the ITV1video here: Stars help Soccer Aid interviews with Keira, Keeley Hawes, and Lewis Hamilton. 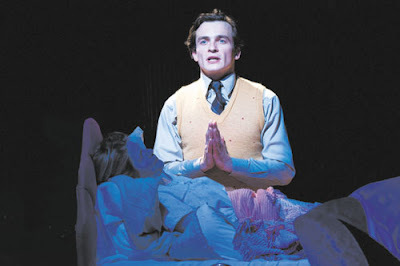 A few new photos, goodperformance reviews, and preview trailer for Rupert Friend's new stage playBrimstone and Treacle, which just had its opening night May 7th. Brimstone and Treacle is playing at the Arcola until June 2nd. For tickets and more information, go to the Arcola website. The appearance at their claustrophobic and unhappy home of Martin Taylor, a sinister outsider who claims to have known and been in love with Pattie, is both the answer to Mrs Bates’s prayers and any parent’s worst nightmare. According to Deadline, Paramount Pictures has announced a U.S. theatrical release date for Flightstarring Denzel Washington and Kelly Reilly and it will be on November 2nd. 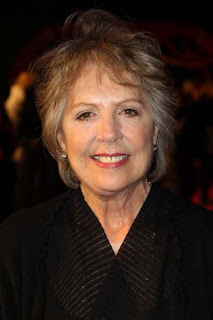 Fox Searchlight shared a video interview of Penelope Wilton, who plays cousin Isobel Crawley in Downton Abbey and Jean in The Best Exotic Marigold Hotel (Based on the 2004 novel, These Foolish Things by Deborah Moggach, who wrote the screenplay for Joe Wright'sPride & Prejudicemovie. Penelopeco-stars with Judi Denchand Maggie Smith in Marigold Hotel) earlier this month, and she also chatted with USA Today in an in-depth article here. 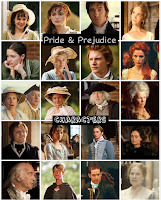 For us P&P movie fans, Penelope Wilton, of course, was best known for her small, but memorable role as Mrs. Gardiner aka aunt Gardiner to Keira Knightley's Elizabeth Bennet and the rest of the Bennet sisters (Jane, Mary, Kitty, and Lydia) in the 2005 Pride & Prejudice film. The Best Exotic Marigold Hotelin theaters now and Downton Abbey currently filming Season 3 with Shirley MacLaine! 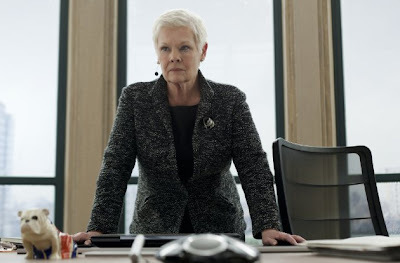 A new productionstill of Judi Denchas M has been released via imdb (view a few more Skyfall stills here!) from her upcoming stand-alone Bond film,Skyfall. Carey Mulligan, who recently got married to singer Marcus Mumford attends the 'Schiaparelli And Prada: Impossible Conversations' Costume Institute Gala at the Metropolitan Museum of Art tonight (May 7th) in New York City. Carey looking gorgeous on the red carpet in a golden-and-silver paillette Prada dress. She is said to be acting as honorary co-chair alongside designer Miuccia-Prada and US Vogue editor-in-chief Anna Wintour. "They sent sketches and I was blown away by them. I'm really honored to be wearing it," the event cochair (and newlywed!) gushes of her golden-and-silver paillette Prada frock. 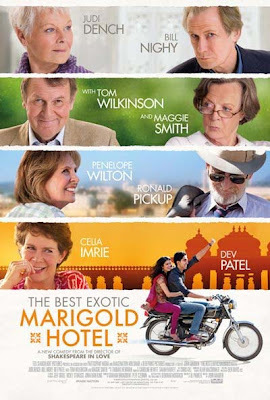 In limited release in theaters today is The Best Exotic Marigold Hotelstarring Judi Dench (Skyfall), Bill Nighy (Wrath of the Titans), Penelope Wilton (Downton Abbey), Maggie Smith (Downton Abbey), Tom Wilkinson (Mission: Impossible - Ghost Protocol), Celia Imrie (Titanic 2012),and Dev Patel (Slumdog Millionaire). Directed by John Madden (Shakespeare In Love) and based on a British best-seller from “Tulip Fever” author and “Pride & Prejudice” screenwriter Deborah Moggach, the film boasts a lineup of veteran actors with a story centering around an entrepreneurial Indian executive who decides to start up a first-rate home for elderly British retirees. ApparentlyJena Malonehas a new scripted series as Dakota (as this WIGS Sizzle Reel video has shown and previewed, no info yet if her character's name will be the title of the series as it appears the first 3 series are title characters, but we'll find out more details on Jena's new WIGS series in the coming months...) in the newly YouTube launched The WIGS channel (see WIGS logo to your left), a new YouTube channel producing high-end scripted series, short films, and docs. WIGS -- Where It Gets Interesting. Premiering May 14, 2012.